Over this last weekend, my friend Curran and I decided to make Italian food over at his house. I started running over, but quickly was out of breath and walking. On my walk, as I stopped to admire the flowers, something unusual appeared in the corner of my eye. A small black form, barely moving, but still twitching just enough to notice. 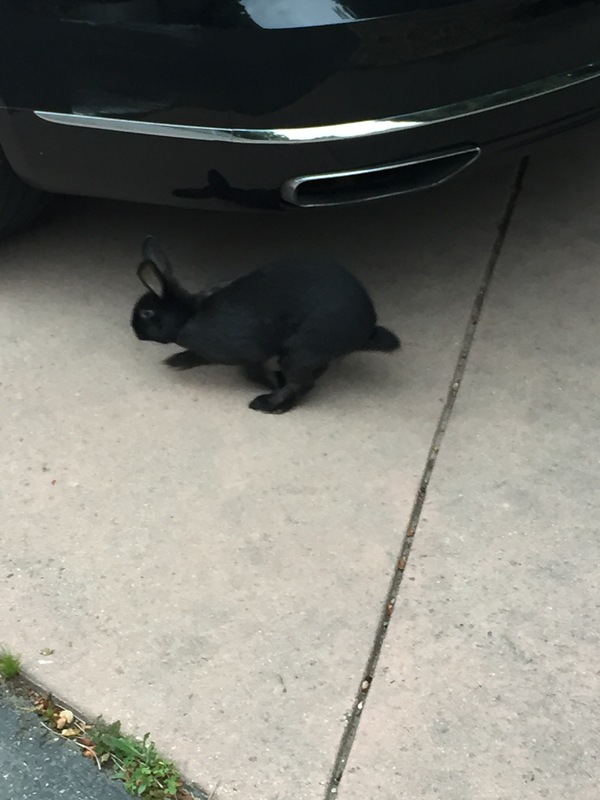 I slowly turned about and saw a small black house rabbit sitting in someone’s driveway. There was no one in sight, and the bunny didn’t seem to have any problems, it was just sitting there, staring up at me. 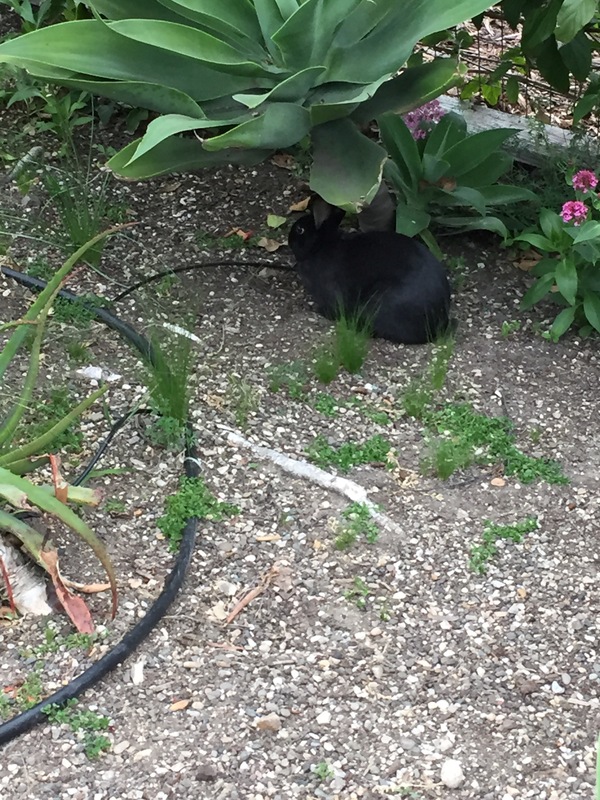 I sat down on the edge of the road, right near the bunny, and decided the wisest solution was to Facetime Curran, and see if he knew anything about this rabbit. 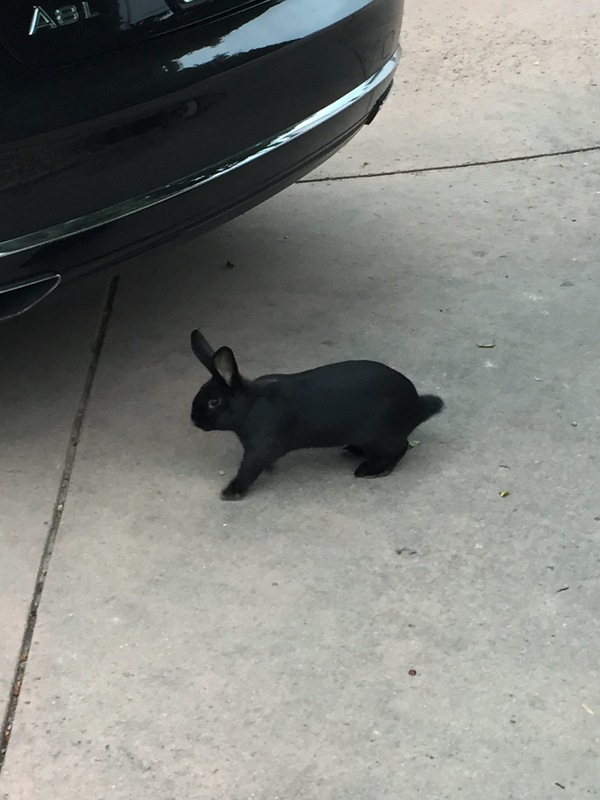 I tried to mute my phone, as I thought the ringing would disturb my little friend on the road. When Curran picked up, I didn’t say a word and only turned the screen to face the rabbit. Shocked and excited noises came out of the speaker and I quickly turned it back to face me. A quick conversation yielded a hastily put together plan for me to catch it. While still trying to let Curran see through the phone, I began a slow chase, where I would creep up and reach out, but the rabbit would hop a few feet away. As this went on, Curran thought it best for him to run down and help. As I waited, the rabbit started running off, and I tried to follow, but it ran into someone’s yard. I frantically tried to keep an eye out for it, but it soon disappeared. When Curran came careening down the hill, I filled him in on the situation and we both ventured into the yard, quickly locating the rabbit and trying to corner it. We would have gotten it if it weren’t for the speed and dexterity of this chubby little animal. We found a rabbit hutch in the yard with three or four other rabbits and thought this might be the home of our escaped friend. After chasing it all over the yard, under trees and bushes, through plants, flowers, and other miscellaneous objects, we got it pinned between us and the wall of the yard, andCurran managed to get his hands on it. Back in the hutch it went, and we walked up the hill, so we could make some delicious italian.